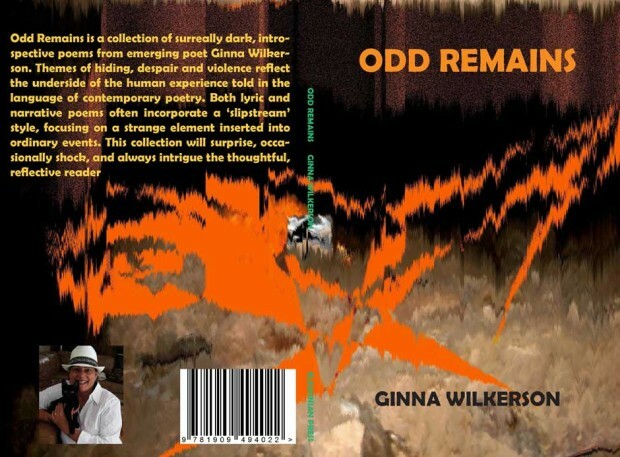 Odd Remains is a collection of surreally dark, introspective poems from emerging poet Ginna Wilkerson. 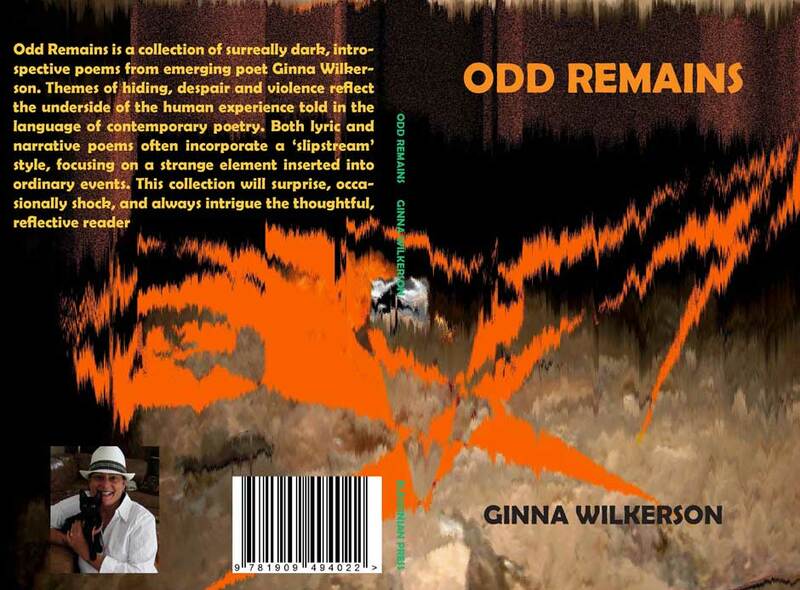 Themes of hiding, despair and violence reflect the underside of the human experience told in the language of contemporary poetry. Both lyric and narrative poems often incorporate a ‘slipstream’ style, focusing on a strange element inserted into ordinary events. This collection will surprise, occasionally shock, and always intrigue the thoughtful, reflective reader.